Recently I had a close colleague e-introduce me to another one of my colleagues as “someone you should meet.” The other guy wrote, “Yep, already know Scott.” I thought that was awesome! These little small-world connections that happen when you’ve been in business for awhile are a big deal, because they indicate that in some way we’ve “made it.” Wow! People have heard of North Forty Road! It’s not a small thing, because it is part of a greater concept: The people or companies that are the best at sales are the ones that value relationships. In fact, I’ve come to realize that North Forty Road Web Design is far less about building brands and websites than it is about building relationships. The relationships that I have built since starting this business are valuable and building them is the most rewarding part of it. And, the websites we create build relationships, too, online. So, eight years and 6000 contacts later there are bound to be more and more small-world connections. How can you cultivate more relationships: Find excuses to meet people (the right Chamber of Commerce events, network groups, business gatherings and seminars), and cherish every business card. Follow up with a sincere “nice to meet you” note. Meet people individually for coffee or lunch. Listen and really be interested in learning new stuff about another business. It’s amazing what you can learn! Then, that will be a lasting relationship that will bear fruit in your business next week, next month, maybe even years later. Among my most-often-asked questions: Why WordPress? 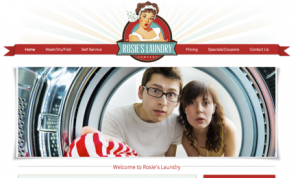 Are there better systems out there for website platforms? User friendly! Other CMS (Content Management Systems) have a way for non-coders to edit their website content, but none is as easy to use as WordPress. We have clients that use the competitor platforms, and in many cases looking in the admin area for something as simple as editing a line of text on the homepage is daunting. WordPress just makes this stuff easy: log in, go to the page you want, click edit, edit, click update, done! LOTS of possibilities! Because WordPress programming is all Open Source – built by a huge community of volunteers – there are many, many thousands of plugins available to make your website do all sorts of things, from the simplest news feeds up to full-feature online sales. Yes, it is best to work with a pro for this kind of thing, but things that would have taken us months of programming in the past are now already done. Safe! Once again, due to the Open Source nature of WordPress, the community of programmers is always aware of ongoing security threats. New versions of the WordPress software are released regularly to address new compromises as outside hackers get better and better at finding ways in. No site is 100% safe, but WordPress is a pretty sure bet for staying as secure as you can. It’s Fun! Every new update of WordPress makes it easier to use, provides newer, cooler features in the back-end admin. Even as I write this post, I enjoy working in this new and fresh-looking environment. If WordPress is new to you, and you’re considering changes to your website, maybe it’s time to make the jump. Contact us for a free consultation – we love talking about WordPress! It truly amazes me that customer service has fallen so low on the priority list for so many people, companies, even whole industries. Remember when we could count on emails being returned, phone calls being answered, people being respectful? Customer service, however, is not dead, because a few holdouts like me (and Joe), make it our top priority. And because like attracts like, we surround ourselves with people with similar values. In my case, yes, we build powerful websites. But that is secondary to listening to the needs of our clients and really responding to them. It’s not just that we solve their problems. It’s that we want to solve their problems. And because our focus is on people, we have fun learning about them, becoming virtual business partners with them, and learning together how to improve our respective businesses. Our tagline “Your Trusted Web Advisor” goes way beyond trusting me and my staff – it is about the “like attracts like” network that I have built over the years. You can call us when you need help with web marketing, SEO, photography, your mortgage, car repair, credit card processing, insurance, and many, many other things, because we have built a huge network of people that make the customer our first priority. And, we love talking about customer service, because it is at the center of good business! We’re here to help… Feel free to be in touch at any time. If you aren’t receiving our monthly e-newsletter, full of great info for web marketing, marketing, and abundant thinking, be sure to sign up in the sidebar! Click here for our latest issue. We’re pleased to announce the release of a new North Forty custom website for Hammersmith Construction, Inc.
Based in Litchfield County, CT, Hammersmith is an elite homebuilder catering to the housing market in Litchfield and Fairfield Counties in CT, as well as Millbrook area, NY. Ian and Glen Hochstetter bring more than 30 years of experience as high-end homebuilders to the table, and have created a family of unique homes for discerning homeowners. The new website serves as a showcase for their work, offering inspiration for people looking to build. It is our pleasure working with Scott and his “crew.” We recognized the need to place the responsibility for helping us represent ourselves in capable hands. We are so pleased with the results after our interviews with the writers and different iterations of the layout, graphics and user interface on the new website. Another aspect of working with North Forty that we found very helpful was their patience and persistence in drawing the information from us that they needed to create such a usable and visually pleasing site that is Hammersmith, Inc. We look forward to continuing to develop it with their astute guidance. Like most business people, I know and love the benefits of blogging, and even like to write for mine. In fact, making blogging a regular part of my life – by carving out some time each week to do it – has had huge benefits that aren’t obvious on the surface: Writing about business keeps me engaged in thinking about my business in full, not just about client needs or sales. Writing about other topics keeps my learning going. And what other reason is there to own a business other than learning new things? Oh, yeah – I guess making money would be one. Before writing my post, I make sure my WordPress blog is ready for it. Using a great plugin called Jetpack, I have my blog configured to automatically email each new post to my subscribers, and automatically post it on my Facebook, LinkedIn, Twitter, and Google+ business pages. Next, I schedule my blog post to be released at an optimum time. Analysis of my blog statistics has shown that the best time for me to post is early in the day, mid-week (either Wednesday or Thursday). You’re business will be different. Try a few different times, and watch the stats in your dashboard (provided by Jetpack) to see when more people see your article. After the post is released, I re-post it in a few Facebook and LinkedIn Groups that are appropriate for the topic at hand. For instance, the post you are reading now will get re-posted in some business network types of groups, and some about WordPress. I do about one per day, so it doesn’t take much time. These groups are great places to start discussions and get comments from others, which builds your reputation as a blogger. Finally, I send out an email newsletter monthly containing my 4 blog posts as articles. This presents the content in a different format, and reaches a different audience. You can do it, too! Don’t be shy about getting your info into the hands of others. If you have the guts to run a business, you have something relevant to say. Own it, and say it! Oh, and don’t forget: If you need help with any of this, we can help. Don’t hesitate to be in touch for a free consultation. It may seem odd to have a tech person preach the value of getting away from our electronic gear, and ironically it is right now an early Saturday morning, and birds are calling me outside… It is cold, however. When I’m done here, I’ll head outside for a walk. I heard recently that a public school is now offering a course in “human interaction.” While on one side I am glad to hear that someone in the education system recognizes this need, it points out something we are missing – to the point that we apparently need to teach it as a basic course of study, like arithmetic or spelling. So, what are we missing by emailing instead of calling, by texting instead of going out, by tweeting instead of meeting? We are missing the body language that people sorely need when communicating: the handshake, the smile, the millions of variations of facial expression that connect people. We are also missing the many moments that God provides us every day: the blue of the sky, the call of the birds, the fact that here in Connecticut one can travel less than a mile and be in relative wilderness, surrounded by beauty. I dare you: commit to less face time with your phone, and more face time with people and places. Don’t miss it! I recently read a forum argument about the custom design vs. template design, and was surprised at how heated the conversation got. Stock templates rarely have everything you need. “Why can’t I put my logo there?” “Where’s the sidebar?” are questions we often encounter with our template clients. Because there is no consistency of coding in these themes, it often takes more time and money than expected to get the theme looking they way you want it. Bait and switch is real and happens often. The sample image of pre-designed WP templates are often made up in photoshop, and are not an accurate representation of what the site will look like with your actual content in place. That’s disappointing. It still looks like a WordPress site. Most businesses invest in a website to stand out from the crowd, and very few of the template themes do that. Here is a great article with some more thoughts on template sites: Click here. Custom design gives you the opportunity to design a site that is truly representative of your amazing business. You need to be proudly unique and different, because you were just crazy enough to go out on your own and start a business, right? Look at apple.com, fastcompany.com, or ballarddesigns.com. No templates here, also no frills, nothing extraneous, just a bold statement of who they are. You can have that, too, for your business that truly deserves it! Contact us today to get started. This week we released another great template-themed WordPress site for Thomas Brahm at Integrity Credit Service, LLC. Tom runs a unique business: Instead of being the typical collections company (he’s not the repo man), his business takes a sensitive approach to this not-fun but necessary part of the business world. Need a trustworthy guy to help you collect the money you are owed? Tom’s the guy to talk to. Scott went out of his way to meet me on my terms to help me with all my web site needs. I am a picky customer and Scott was patient with me until I had the desired look I wanted. I recommend North Forty Road for any startup or established business looking to enhance their look. Thank you, Tom! Check out his new site at www.integritycreditservice.com. Abundance project #3 was about belief. When it comes to the Law of Attraction and Abundance: Do you believe? Did you believe yesterday? This morning? Ten minutes ago? I have come to realize that the biggest roadblock to the success I crave is me. Despite constant exposure to Abundant thinking, exercises, tools, people, we are human, and doubt can be very strong. But, if we can find that pivot point in our thinking, where we take steps to remove negative thought, remove judgement, keep just 51% of our thought on the positive side, life changes completely. Am I there? No, not at all. It takes constant work. It takes constant reminders that the universe is immense and possibilities are endless. One of our group members said to remember that we are on a ball that is spinning through space. Just spending a few moments a day remembering that “little” miracle can help change your perspective. So, believe, and believe blindly. You don’t need to have the answers, the how or where, just the goal. Speak it out loud, write it down – your belief becomes infinitely more powerful when you put it to words. And live and feel the joy of achieving it, with gratitude. Be as a child, and create a new normal! I know that if I can change that one little neuron that says “no,” all that I’m striving for will come rolling to the shore in an endless sea of abundance. I can, and I am. You can, too! This week’s assignment: Make a resolution about believing, and use your words to cement it. Write down your experiences, and share them here as comments. 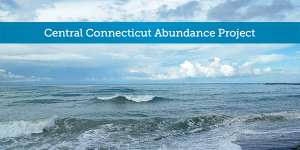 The Central Connecticut Abundance Project meets in Bristol, CT, on the first Friday of the month at 9:30 a.m. You can benefit from joining the MeetUp group, even if you are from far away, and participate virtually. Check it out at www.meetup.com/ctabundance.